Fried chicken thighs at Deadhorse Hill. WORCESTER — Historically, Worcester’s best-known culinary contributions have been to the grocery-store aisle. Shredded Wheat, Table Talk pies, cult-favorite bubbly water Polar Seltzer, Near East boxed pilafs — these products all have roots here. But aside from classic diner cars, the city has never been known for its restaurants. Worcester may be New England’s second-largest city, but it clocks in far behind the likes of Portland, Providence, and Portsmouth when it comes to having a robust food scene. Now that is changing — and fast. 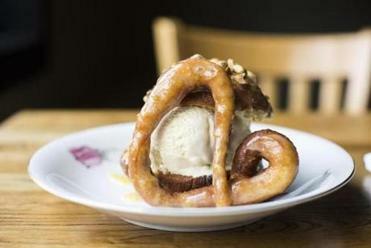 Worcester is in the midst of a bona fide restaurant renaissance. 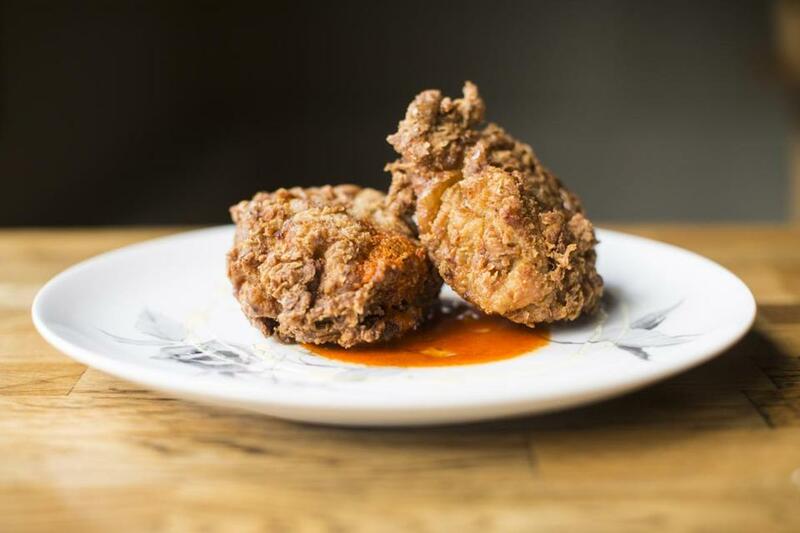 In the past 18 months, 55 new restaurants have opened here, specializing in everything from fried green tomato sandwiches and aged duck breast with mustard spaetzle at Deadhorse Hill to kombucha cocktails and Italian amari at The Muse, naturally leavened country loaves at BirchTree Bread Company, candied squash-filled crepes at Lock 50, and house-cured bacon at The Hangover Pub, which proclaims itself “New England’s first bacon gastropub.” Shrewsbury Street, Worcester’s restaurant row — long-dominated by Italian eateries and old-school chophouses — is now home to recently expanded businesses like Wormtown Brewery and bakery/restaurant Sweet; both have moved into a former car dealership that also houses hand-crafted pizza shop Volturno. Two food-truck zones have been proposed in recent months. These developments are creating opportunities for restaurateurs. “You’re trying to get all of these young people to be educated here and stay here, but there wasn’t a style of place for them to be,” says Albert LaValley, a partner in Deadhorse Hill, a funky restaurant and cafe that opened on Main Street in May. An engineer who attended Worcester Polytechnic Institute, he has lived in the city for about 15 years. “This is the type of restaurant I would want to eat at,” he says. From left: Sean Woods, Jared Forman, and Bert LaValley in Deadhorse Hill’s dining room. 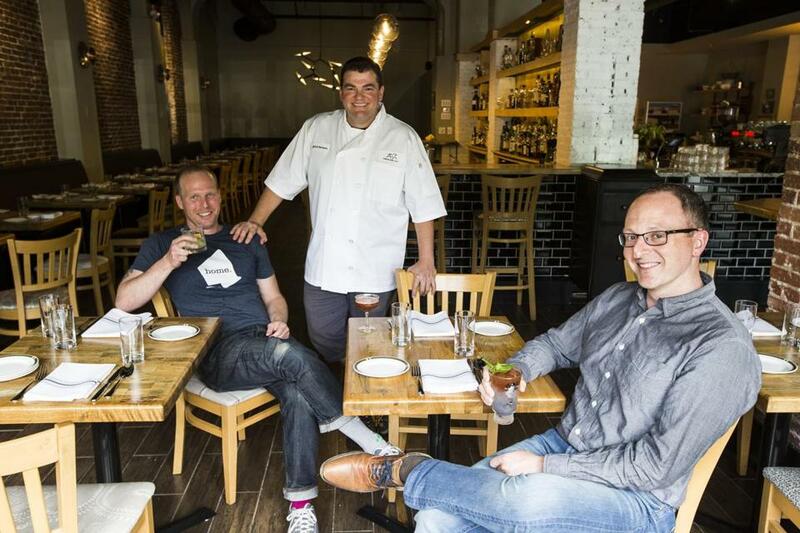 Deadhorse Hill is staffed with expats from the Boston area: Chef Jared Forman previously worked at Strip-T’s, beverage director Sean Woods at Ribelle and Craigie on Main (both are also partners in the restaurant). Sous chef Robin Clark worked at T.W. Food, wine director Julia Auger was a manager at Giulia, and Adam Ross was the baker at Loyal Nine. These resumes are reflected on the menu, which might include Little Island oysters with Korean pepper mignonette, chilled English pea soup dotted with octopus and fresh strawberries, honey-drizzled fried chicken thighs with hot pepper paste, and warm brioche doughnuts, sliced in half and filled with ice cream made with maple syrup produced by Clark’s grandparents. From small-batch kombucha to certified Neapolitan-style pizza, here is what’s new and notable. Like, for instance, BirchTree Bread Company — a sprawling space offering live music, beer and wine, and sandwiches stuffed with local meats and cheeses, operated by couple Robert Fecteau and Avra Hoffman, natives of nearby Spencer. It’s located within Crompton Place, a former textile mill turned mixed-use facility in the city’s burgeoning Canal District. Agriculture is a big part of the area’s identity; the city is surrounded by a thick ring of farms. But it wasn’t until 2014 that this was more broadly reflected on restaurant menus. That year saw the launch of Lettuce Be Local, an organization that acts as a broker between about 80 farms and 35 restaurant accounts. Before that, chefs who wanted local ingredients had to drive from farm to farm to get them. 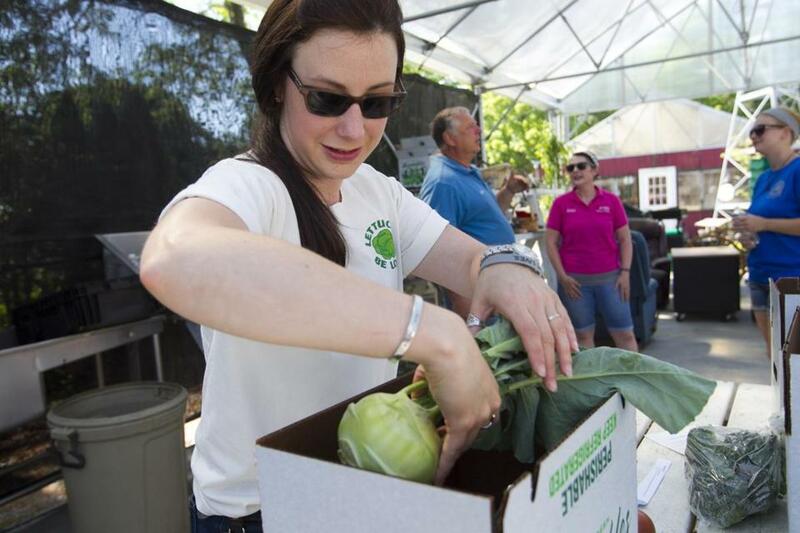 Lynn Stromberg, cofounder of Lettuce Be Local, packs vegetables at a CSA pickup at Harvey’s Farm & Garden Center in Westborough. Of course, change doesn’t come without controversy. For instance, the Urban Revitalization Plan, approved last month by City Council, has been criticized for leaving out a part of town known as Main Middle, home to many lower-income people of color. And there are people working to ensure that culinary growth doesn’t just come in the form of artisanal kombucha and upscale small plates. Worcester has a large immigrant population, with sizable communities of Asian and African refugees. This month sees the launch of a food hub at the Worcester County Food Bank. It’s part small-business incubator, with a commercial kitchen, and part connector between farmers and institutions like hospitals and schools. Liz Sheehan Castro, the food bank’s director of advocacy, hopes it will help provide a way for new immigrants and refugees to start businesses incorporating their own rich cultures. Leah Mennies can be reached at lmennies@gmail.com. Follow her on Twitter at @lmennies.